Foshan Jopar Machinery Co., Ltd.
Yangzhou Sinoform Machinery Co., Ltd.
of steel coil &Phi;800 mm ~ &Phi; 1 5 00mm I.D. Operating manual will come along with the machine. 2.My company will send 3-4 engineer to installing the machine and responsible for training the worker of customer until they can operating the machine. 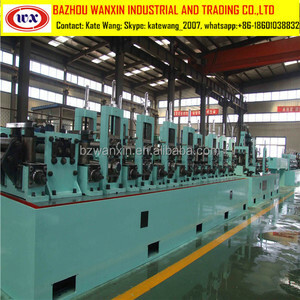 Wanxin's full-automatic Pipe Making machine stainless steel ranks to topest in this industry. 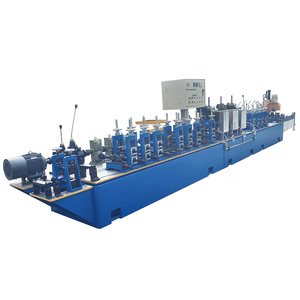 Technic process of Pipe Making machine stainless steel High Prevision Pipe Making machine stainless steel I More photoes of Pipe Making machine stainless steel Introduction of Wanxin Bazhou Wanxin Industrial and Trading Co. ,Ltd was founded in 1992. Wanxin is a high and new-technoogy enterprise specialized in design, development and manufacture of Pipe Making machine stainless steel , High prevision slitting & cross cutting equipment, HF welding H-beam steel equipment, spiral welded pipe equipment cold forming euipment, hot galvanized pipe making machine and rollers. Chenzhou Huaxia Lisen Mechanical Equipment Co., Ltd.
Kaifeng Zhongqiao Prestressed Equipment Co., Ltd. 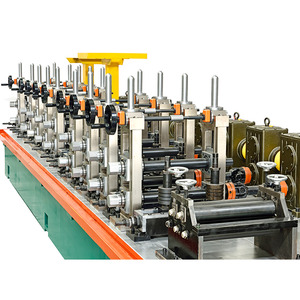 Carbon steel/galvanised steel/ stainless steel welded pipe making machine 1. Pre-sell serveice: Making the whole project design for customers , including workshop layout setting, power capacity, water, worker calculate, whole line equipment professional selection, whole project cost budgeting etc. 4. 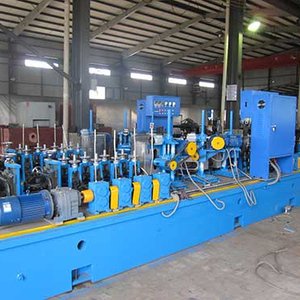 Could supply sea freight service timely Welded Pipe Machine produces American-standard and British-standard delivery pipe for oil and natural gas and also various types of steel water pipe, gas pipe used in machinery and construction industries. By making the best of the similar products home and abroad and integrating with our company&rsquo;s unique designs,we basically achieved digitalization and intellectualization with PLC control system and full digital speed control unit. Generally speaking, we start at FOSHAN port, but we also can start at other port according to customer's need. (4)Send engineers to help you install the machines and train your staff online, until you can produce qualified pipes. If you have any question in operation in operating the machines, you can call us or send emails, we will solve the problem for you asap. Foshan Guanxiugang Trade Co., Ltd.
Guangdong Yangcheng Stainless Steel Machinery Ltd.
Foshan YXH Import & Export Co., Ltd.
Foshan Mai Duo Machinery Co., Ltd.
Main Features 1) The whole machine is welded by Q235 steel plate, World's top five hundred BAOSTEEL materials, Machine vibration agin treatment. 2) All the key parts are processing by CNC machine centre to ensure the precision of equipment. 3) Adopt Dong Feng auto transmission, enhanced turbine gearboxes, ensure stability of transmission system. 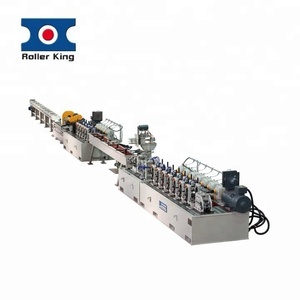 It&rsquo;s easy to operate and it can process tubes with different diameter. 2.welcome to our factory to learn how to operate our machine, we will give good training . If there is requirement, our engineer can go to user factory, and adjust machine, give good training to user . Botou Boheng Metallurgical Equipment Co., Ltd.
Yuyao At Machinery Co., Ltd.
Jiangsu New Victor Industrial Co., Ltd.
Wuxi Yuanding Science And Technology Co., Ltd.
Pictures Packaging & Shipping Mingyi Machinery Factory were located at a key production base of stainless steel in China Foshan. Our company main production of stainless steel embossing machine,stainless steel rib machine,plane machine,cone machine and a variety of stainless steel processing machinery. 5.Q : Delivery time of pipe embossing machine for decorative9 A: If in stock,3 days;If not in stock,5~8 days. Alibaba.com offers 18,450 stainless steel pipe making machine products. About 42% of these are pipe making machinery, 1% are stainless steel pipes. A wide variety of stainless steel pipe making machine options are available to you, such as energy supply pipe, drain pipe, and structure pipe. 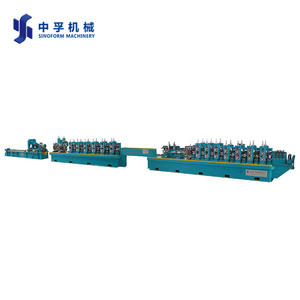 You can also choose from pipe mill, pipe production line, and pipe molding machine. 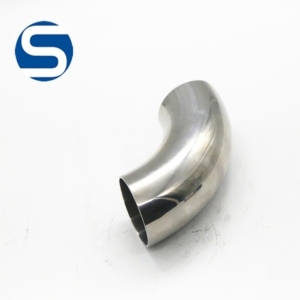 As well as from stainless steel, carbon steel, and pe. 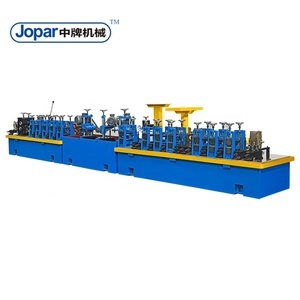 And whether stainless steel pipe making machine is free samples, or paid samples. There are 18,449 stainless steel pipe making machine suppliers, mainly located in Asia. The top supplying countries are China (Mainland), Taiwan, and India, which supply 99%, 1%, and 1% of stainless steel pipe making machine respectively. Stainless steel pipe making machine products are most popular in Domestic Market, Southeast Asia, and South Asia. You can ensure product safety by selecting from certified suppliers, including 8,931 with Other, 5,147 with ISO9001, and 650 with ISO14001 certification.